The Cycladic-style Noe Rooms is centrally located in Tinos Town, within 400 metres from the new port and 200 metres from the Church of Virgin Mary. It offers self-catering accommodation with free WiFi and views over the town. The family-run Katerina Rooms is located in Tinos Town, just 50 metres from Agali Beach and within 300 metres from restaurants and shops. It offers rooms with a private balcony and free Wi-Fi access. 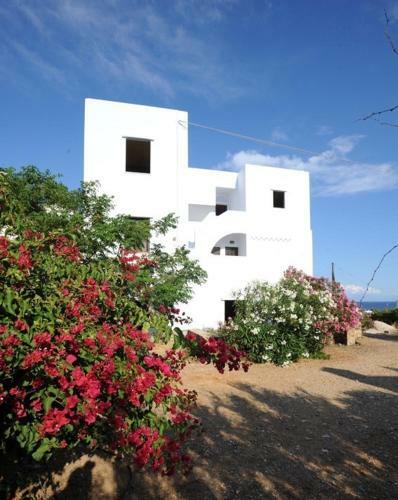 Set amidst trees and colourful flowers, Prasino Oniro is located in Tinos Town. It offers air-conditioned rooms and free WiFi in public areas. Agios Fokas Beach lies within 300 metres. Surrounded by a 2000-m� lush garden, the stone-built Zeus House is a traditionally decorated villa at the Lasithi Plateau featuring a swimming pool. Fully equipped, it offers free Wi-Fi and furnished terrace with views of the countryside. Just a 3-minute walk from Agios Fokas Beach, Vriokastro is a typical Cycladic accommodation in Tinos. It is surrounded by a garden with BBQ. Free Wi-Fi is available throughout. All air-conditioned units offer a terrace with outdoor furnishings. 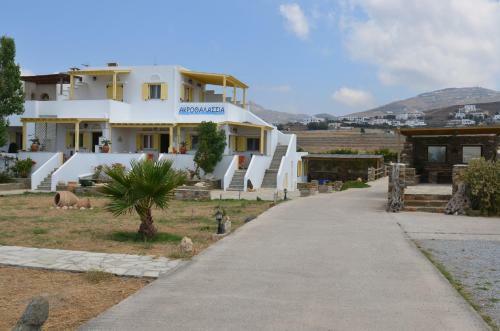 Located 100 metres from the Evangelistria Church, Madalena's Family offers air-conditioned rooms in Tinos. Shops and restaurants are 50 metres away and the beach of Kalamia is 1 km away. All rooms include a TV, fridge and electric kettle. 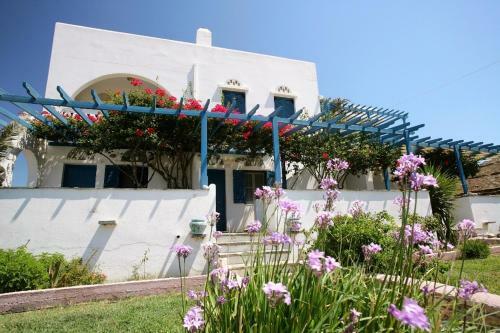 Centrally located 200 metres from Tinos port, Kamara is a self-catering accommodation in Tinos. The property is located on a traditional building close to the picturesque streets in the old market area. Centrally and quietly located in Tinos Town, Virginia Rooms is a few metres away from the famous church of the Virgin Mary and Tinos Port. It features traditionally decorated rooms with a balcony. Free Wi-Fi is available throughout. Just 150 metres from Agios Ioannis Beach and 250 metres from Skilandari Beach, Porto Manolis offers air-conditioned rooms with views to the Aegean Sea or the courtyard. 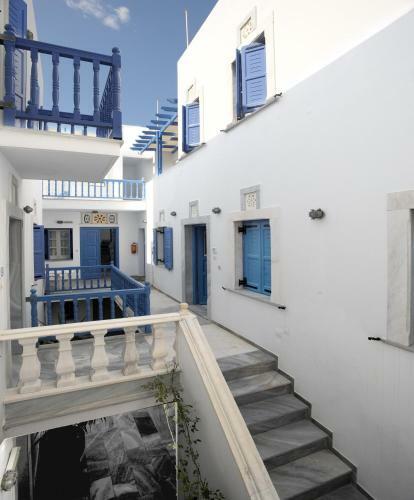 Housed in a restored old mansion, Manto Apartments is centrally located in Tinos Town, 50 metres from the port. It offers self-catered accommodation with free Wi-Fi. A restaurant and mini market can be found at 10 metres. Within 300 metres from Agios Fokas Beach, Akrotiraki Villas is a complex of Cycladic-style studios and apartments each with a fully equipped kitchen. All units open out to furnished verandas overlooking Tinos Town and the Aegean Sea. Within a 2-minute drive of Agios Fokas Beach in Tinos, Diles & Rinies features a pool with sun loungers. Its independent villas are set amidst a blossomed garden and open to a furnished balcony or veranda offering panoramic views over the Aegean Sea. Just 10 metres from Agios Fokas Beach, the Cycladic-style Tinos Koralli offers self-catered accommodation with Aegean Sea view from their furnished balcony. On a hillside, just 300 metres from Agios Markos Beach in Tinos, the Cycladic-style Vega Apartments features a pool and poolside snack bar. Located 500 metres from the nearest beach in Tinos Town, Anastasia Studios offers self-catered accommodation with balcony or patio overlooking the garden. Restaurants and shops are within a 5-minute walk. Boasting Aegean Sea views from their balcony, Anemismata offers self-catered accommodation and free Wi-Fi in public areas. 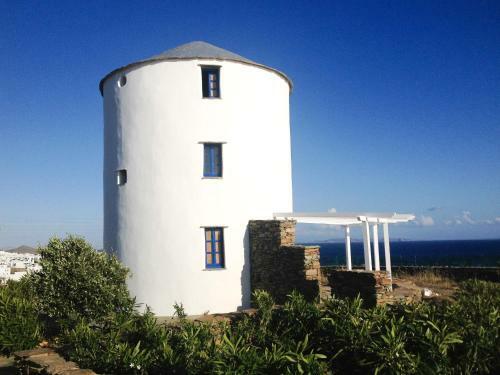 Built according to local architecture, it is located 1 km from Tinos Port and 1.5 km from Agios Fokas Beach. 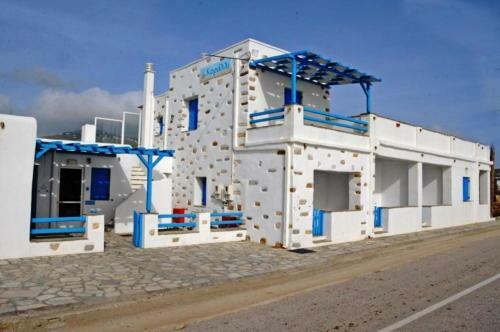 The seafront Akrothalssia is located on Agios Fokas Beach, just a 10-minute walk from the main town of Tinos. It features a stone-paved communal BBQ area and accommodation boasting unlimited Aegean Sea views. Built in the traditional blue-white Cycladic style, the family-run Aegean Dream Apartments features self-catered apartments with a balcony facing the Aegean Sea, just 80 metres from Stavros Beach in Tinos. The beach of Agios Markos is at 200 metres. Centrally located in Tinos Town, just a 5-minute walk from the famous church of the Virgin Mary, the Cycladic-style Hermes Rooms offers a traditional terrace with bougainvilleas and seating areas. 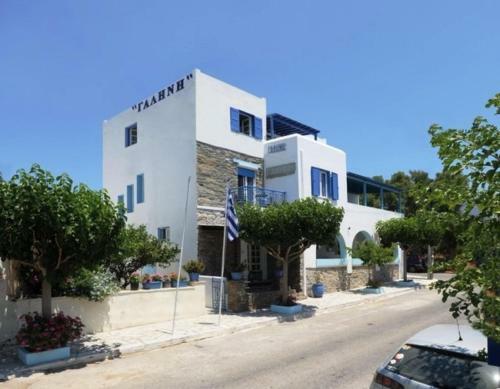 Family-run Galini is located in the centre of Tinos Town, very close to the church of Panagia of Tinos, and only 100 metres from the main port. Free Wi-Fi is available throughout the property. Centrally located in the main town of Tinos, the family-run Filoxenia offers rooms with views over the Aegean Sea or the picturesque town just 30 metres from the famous Church of the Virgin Mary. Agios Fokas Beach is 1.5 km away. Featuring a pool and a sun terrace overlooking the Aegean Sea, the Cycladic-style En Plo is located in Agios Romanos Village of Tinos, within 500 metres from the beach. Set amidst well-kept Mediterranean gardens, in the village of Skalados, Astrokaktos is a whitewashed complex of self-catering apartments with views over the scenic landscape of Tinos. The picturesque village of Volax is 3 km away. Centrally located in Tinos Town, family-run Virginia Studios & Apartments is a few metres away from the famous church of the Virgin Mary and the port. 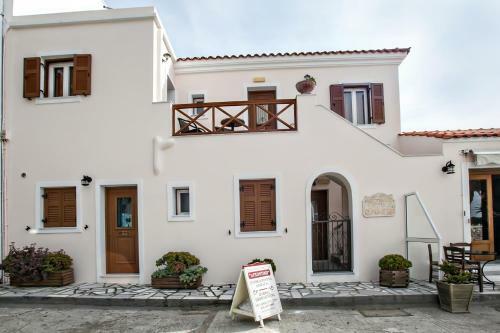 Situated in the centre Tinos main town, Virginia Pension offers air-conditioned accommodation with TV and free Wi-Fi access. The well-known church of Virgin Mary is just a few metres away. Centrally situated in a quiet street of Tinos Town, Voreades guest house offers free WiFi access throughout and elegant rooms with a balcony or patio overlooking the Aegean Sea or the Cycladic-style courtyard. 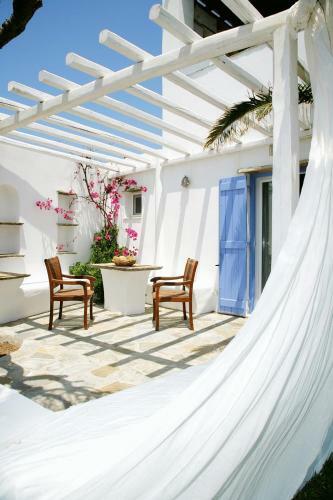 Located by the port of Tinos, the Cycladic-style hotel Agnantio offers air-conditioned rooms with private balcony. Only 100 metres from Agios Fokas beach, it features free public Wi-Fi. Situated 1 km away from the port of Tinos, En Tino is a typical Cycladic-style complex featuring tasteful accommodation with kitchenette. En Tino Apartments are decorated in bright colours. Porto Vlastos offers Cycladic-style rooms with traditional furnishings and sea-view balconies or terraces. 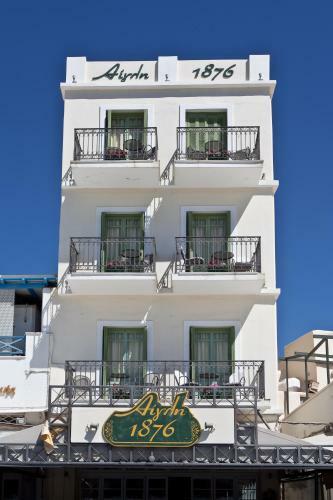 The family-run apart-hotel is situated in the area of Agios Ioannis, a 5-minute walk from the beach. 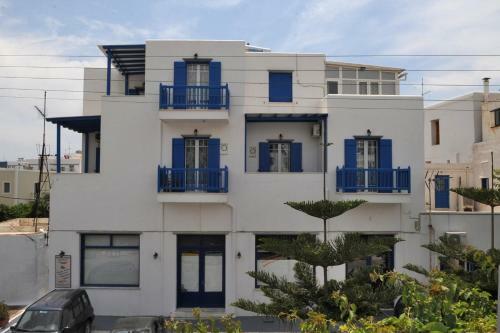 Situated walking distance from the centre of Tinos and the renowned Church of Panagia, Amarielia's Studios is just 100 metres from the port. The family-run complex offers charming rooms and apartments with furnished terraces or balconies. Soula Rooms is located in a quiet spot in Tinos Town, just a 5-minute walk from the centre and the famous Church of the Virgin Mary. The hotel offers guests free 2-way transfer to Tinos Port and free Wi-Fi throughout. 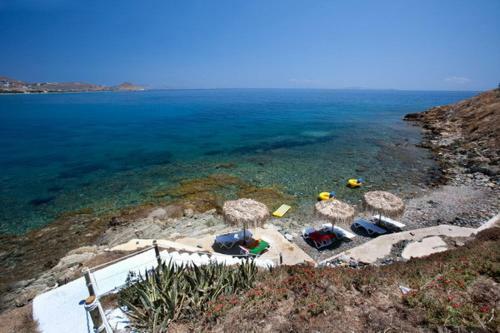 Stavros Bay is located in Tinos Town, right next to Stavros Beach and overlooking the sea. The city center is 500 metres away. Free WiFi is offered throughout the property and free private parking is available on site. 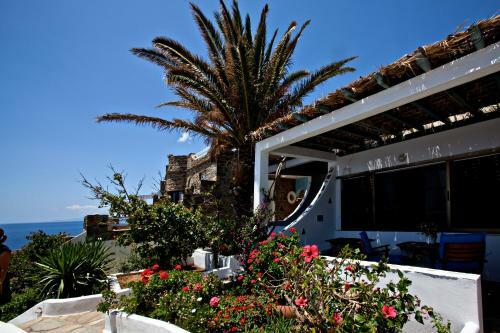 Just 30 metres from the sandy, blue-flagged Agios Fokas Beach, K - Homes offers accommodation 1.5 km from Tinos Town. Free private parking is available on site. Offering a private, infinity pool, Evita's Villa in Vourni Village, is built according to the local, traditional architecture. 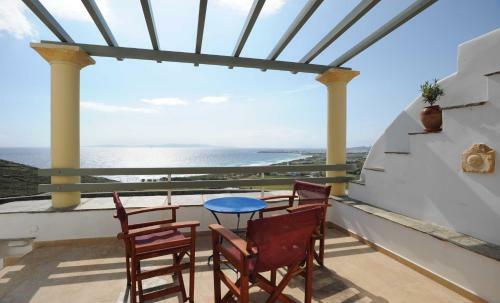 It features a fully equipped unit with direct Aegean Sea and Tinos Town Views. Vorini Beach is 150 metres away. Artemis Apartments is a self-catering accommodation located in Agios Sostis Village. It offers Aegean Sea Views from its patio, while free WiFi access is available in public areas. Agios Fokas Beach is 1.5 km away. Offering a garden with sun terrace, Lygaria is just 100 metres from Agios Ioannis Porto and 2.5 km from Agios Sostis Beach. 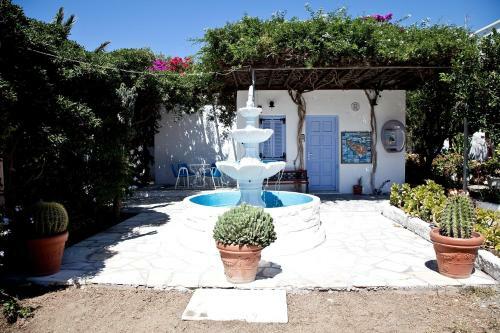 It features self-catering accommodation with free WiFi and Aegean Sea and garden views. 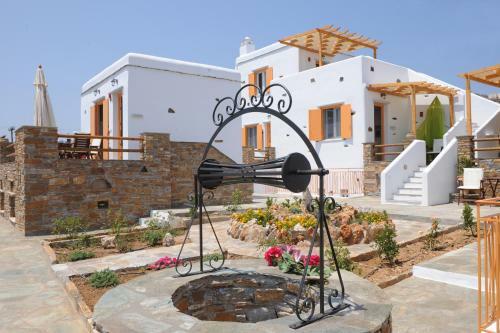 Melodia offers accommodation in Tinos Town. Megalochari Church is 200 metres away. Towels are available. Melodia also includes a sun terrace, and a designated area for breakfast preparation. Monument of Elli is 300 metres from Melodia. \Agali Apartments is a self-catering accommodation located in Tinos Town. The property is 1 km from Megalochari Church and 600 metres from Monument of Elli. All apartments will provide you with a TV, air conditioning and a balcony. 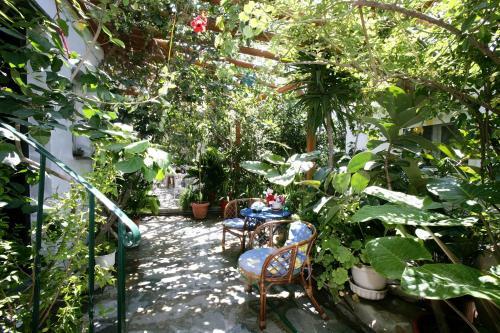 Just 500 metres from Agios Fokas Beach, Pension Andreas is in Tinos Town. It offers a self-catering unit with a balcony. Free WiFi access is available in all areas. The property is 500 metres from Megalochari Church. Aegli Rooms is located in the Old Town of Tinos, just 150 metres from the famous church of the Virgin Mary and 30 metres from the market. Guests can find the beach of Agios Fokas at 1.5 km. All rooms at the Aegli have a TV and a refrigerator. ????? ???????????? & ????????? ????? Just 80 metres from Agios Ioannis Beach in Tinos, Porto Kalma is a well-equipped studio with free WiFi and terrace. Restaurants and bars are 50 metres away. 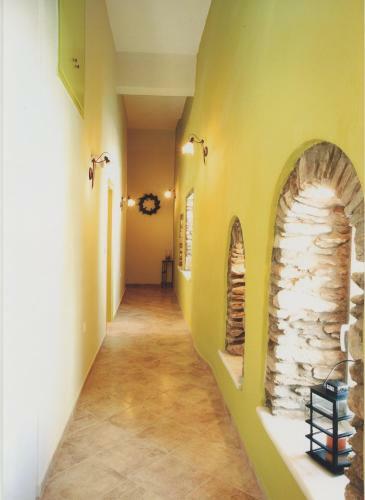 Porto Kalma includes a TV and air conditioning. Aggelikoula Rooms is located within walking distance of Tinos Town Port. It features a stone-paved terrace, and offers rooms that open to a patio. Free WiFi is available in all areas. 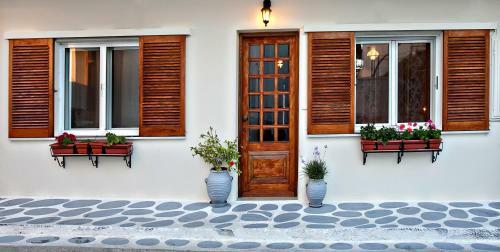 Mylos Studios offers pet-friendly accommodation in Tinos Town. Megalochari Church is 300 metres away. Free WiFi is featured . The accommodation is air conditioned and is fitted with a TV. There is also a kitchenette, fitted with a refrigerator. 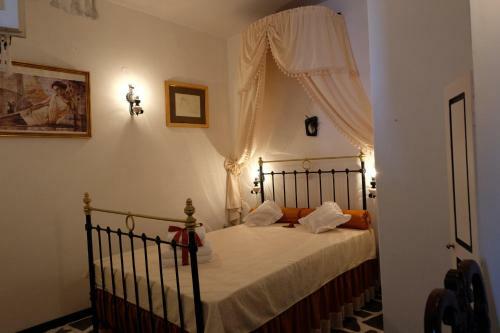 Centrally located in Tinos Town, Niki Rooms offers rooms that open to a balcony or patio. Free WiFi is available in all areas. Each room here will provide you with a TV and air conditioning. There is also a refrigerator. Set amidst a blossomed garden with stone-paved alleys and BBQ facilities, Nikoleta Rooms lies 50 metres from Agali Beach in Tinos and 300 metres from restaurants and shops. Within 500 metres of the nearest beach, Boussetil Rooms offers air-conditioned accommodation with free Wi-Fi access. Tinos Port is 700 metres away and free 2-way transfer is provided. 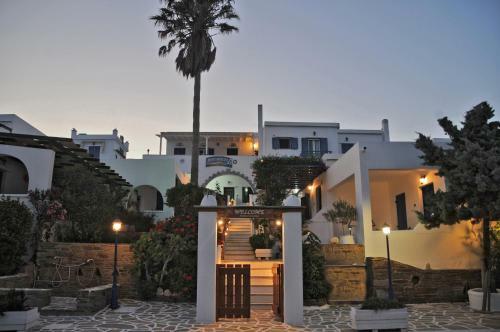 Located on the scenic Kardiani Bay in Tinos, the Cycladic-style Studios Akti Giannaki is a few paces from the sea. It offers spacious studios with a furnished balcony or terrace overlooking the Aegean Sea. Within 200 metres from the beaches of Agios Ioannis and Agia Kyriaki, Anatoli tou Porto offers traditionally decorated studios with a furnished balcony. It includes a restaurant with a stone-paved terrace and tall palm trees. The Cycladic complex Galini Bungalows is situated in the seaside town of Kionia, 200 metres from Kionia Beach and 3 km from Tinos centre and port. Rooms have large verandas with flower pots and Aegean Sea Views. Located on a hill, 200 metres from Agios Fokas sandy beach, Tinos View Apartments offers Cycladic-style apartments with furnished verandas overlooking the Aegean Sea. All units feature fully equipped kitchens and living rooms. Golden Beach Hotel is set before a private sandy beach in Agios Fokas. 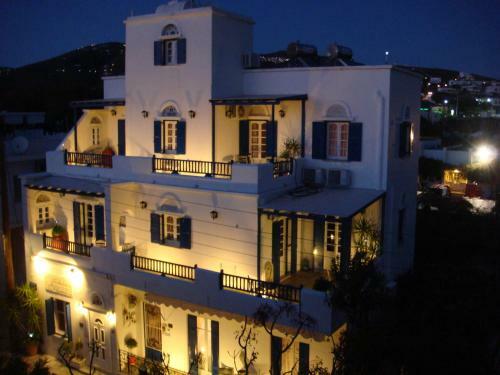 Accommodation resembles a Cycladic village surrounded by 15,000-m� of lush gardens. 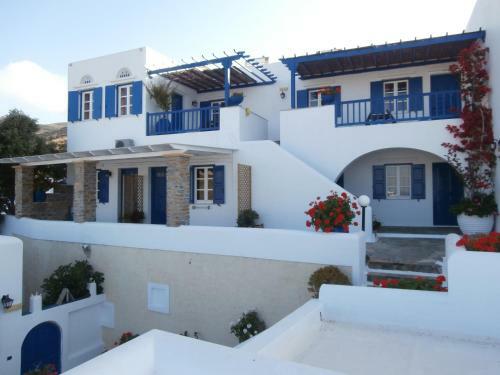 Tinos� capital is just 2 km away. Just 10 metres from the sea, with an endless view of Agios Fokas beach, Agali Bay Hotel is located at the most idyllic spot of Chora in Tinos , only 10 minutes walking distance from the port. Within a 5-minute walk from the sandy Agios Fokas Beach, the Cycladic-style Aigaio Studios offer traditional accommodation. All air-conditioned units are self-catering and feature furnished verandas overlooking the Aegean Sea. Situated in the religious district of Tinos, this charming property offers a wide variety of well-appointed rooms and apartments complete with a picturesque courtyard and spa facilities.